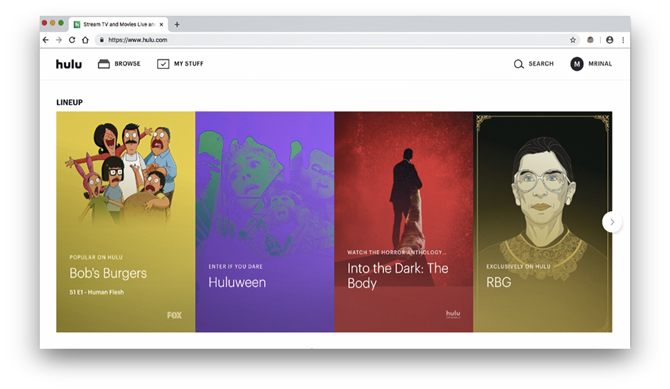 Hulu offers some of the greatest shows like The Handmaid’s Tale, The Good Place, Fargo and not to forget the US live TV. But, what if you want to watch Hulu from Europe, Australia or any part of the world? Even though you can fool Hulu by changing your IP address to that of the US by using a VPN, you still won’t be able to sign up for the service, as it only accepts US credit card and Paypal. Fortunately, there is a way to use Hulu outside the US even though you don’t have a US credit card or Paypal. So, let’s see how to get Hulu from outside the fifty states of grey, oh I mean the United States. Let’s begin. 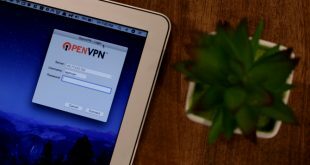 First, you will need a VPN or Smart DNS service to circumvent your location to the United States. 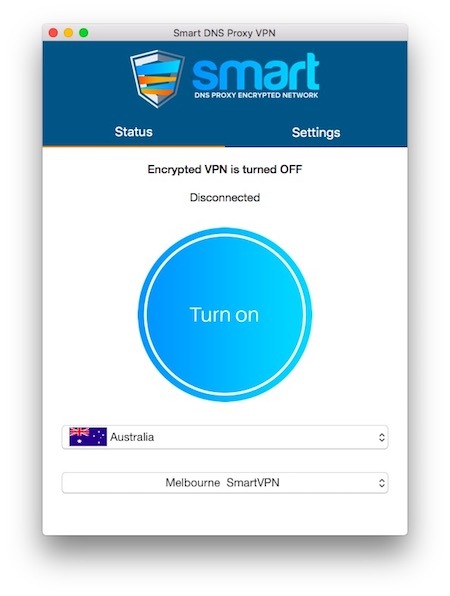 If you do not already have a VPN, I’ll recommend getting between Nord VPN and Smart DNS Proxy. 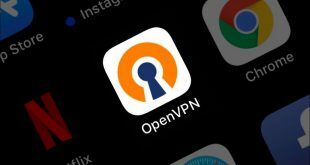 Unfortunately, most free VPN service doesn’t work with HULU. Once you have a VPN, keep it handy, we’ll need it later on. Next, we need to buy a gift card for Hulu, as it only accepts a US credit card and PayPal. 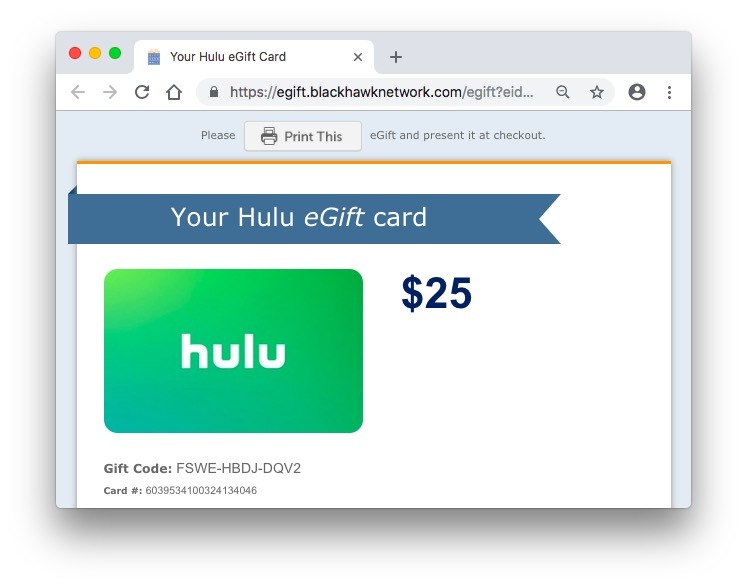 There are a few sites that work for a gift card, the best way is to do a Google search for “Hulu gift cards”. We generally use mygiftcardsupply.com (you don’t need a US credit card or PayPal to buy a gift card for them) but these are pretty expensive. A $25 Hulu gift card is available for $29. The next option is sites like Newegg and Target. As you can see, I can get a $25 for just $25 on target, there is no extra commission to pay, so I’ll just go with that. They also accept all kinds of credit cards and PayPal from all around the world. Simply create a free account, and check out. 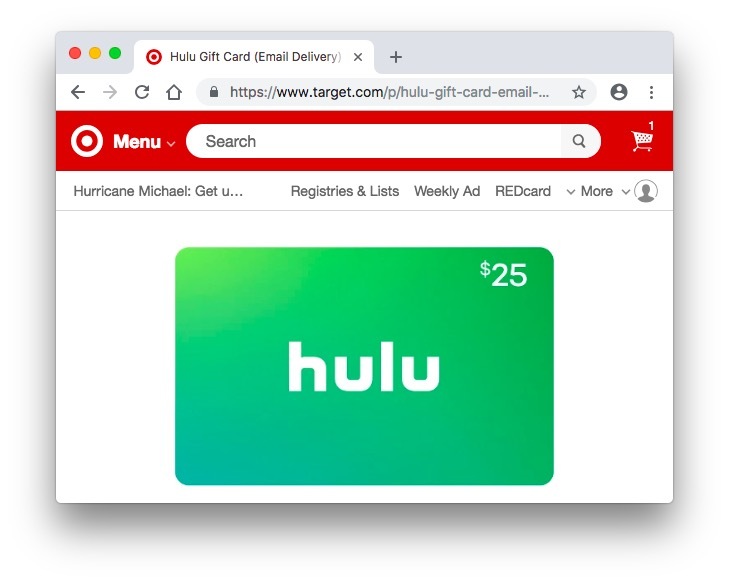 The only downside is, unlike other gift card suppliers, who send the code instantly, Target delivers the gift code to your email within 4 hours. But I guess that’s okay since it’s also saving me $4 or 20% on each order. It took 2 hours in my case, once you have the code, copy it on your clipboard, we’ll need in the next step. Next, turn on your Smart DNS Proxy’s VPN and switch your country to the United States. If you are using Smart DNS Proxy DNS, Hulu will automatically be unlocked. 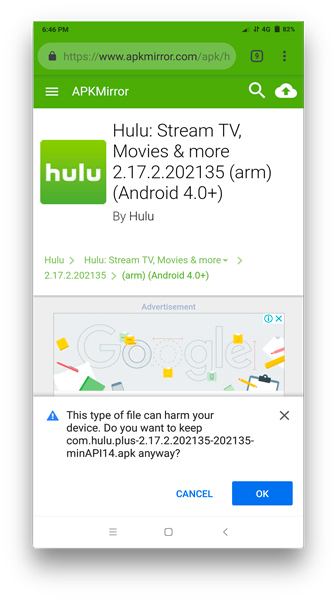 Just make sure you select the Hulu supported server. Now, head over to Hulu gift card redemption page, and paste the gift card code. In the next pages, choose your plan, I’ll go with $6 ad-supported plan, which usually shows unskippable ads every 20 mins, but if you don’t like ads, go with $12 per month subscription. There is no difference in access to content inside the platform. Sign up with your email, name, and address. 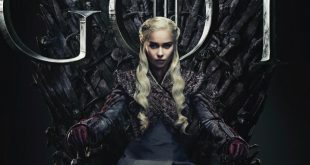 For zip code use, anything like 10001 for New York, you can also add HBO now for $15 along with Showtime for $11. And after few levels of customization, you are ready to watch your favorite Hulu shows. To fix this, you need to get a paid VPN like NordVPN and Smart DNS Proxy. I have a Smart DNS Proxy VPN subscription (cost $5 per month), and I still got this VPN error. To fix this, you need to try out different servers, usually Australian servers with Smart VPN work fine for me. 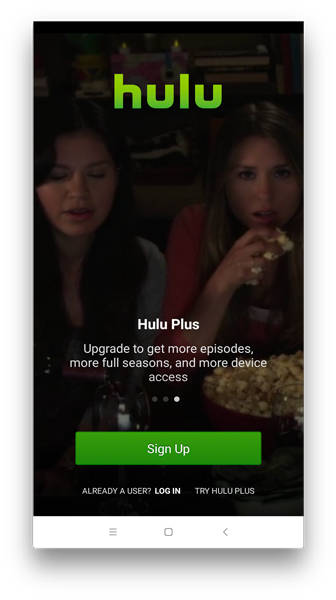 To watch Hulu outside the U.S on Android, simply sideload the Hulu app from APK mirror, and install the setup. Make sure, ‘Allow installation from Unknown Sources‘ is checked on your Android Settings. Next, turn ON your VPN, switch to the United States server. Similarly, to get Hulu on iPhone or iPad, you need to change your app store to the US. In a nutshell, you need to switch your app store country and then you should see the Hulu app on the app store once you do, install it. 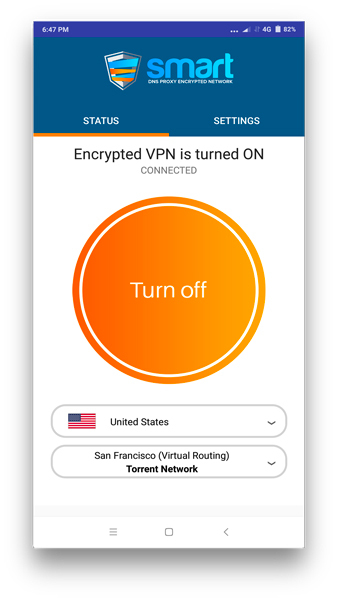 Again, just like we did for Android, turn on Smart DNS Proxy VPN switch to US server and log in and enjoy. So, there you go, that’s how you watch Hulu outside of the United States, The only legit way to get it is using gift cards even if it sounds a bit tedious, given the fact that you’ll have to buy a gift card from time to time to recharge your account.